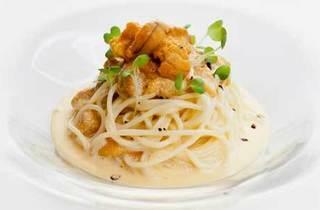 Japan’s highly regarded La Luna Rossa brings fusion Italian to Singapore. Harking back to traditional Italian decor with its aged Tuscan red brick and a warm colour palette, high ceilings and large-paned windows bring a more contemporary feel to the space. An unpretentious yet refined dining experience, this 60-seat restaurant with an elevated Orchard Road view is suitable for an afternoon escape or an evening winding down. 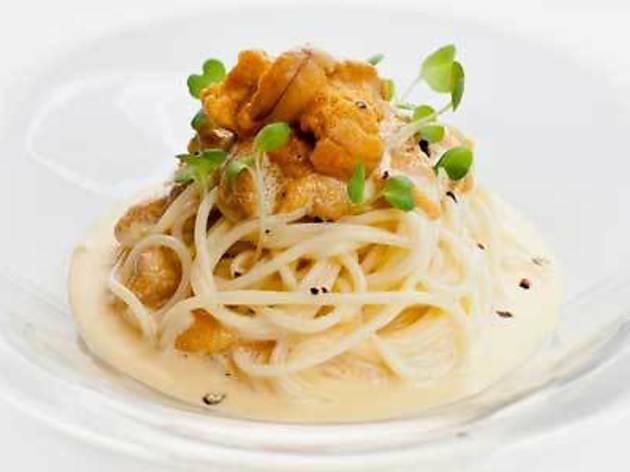 Chef Masahiro’s eight-year stay in Italy, paired with his innate Japanese sensibilities of gastronomic art and inventiveness, have brought about concoctions such as home-made, nori-blackened scialatielli (ribbon noodles) with scampi and clam ($36), or crispy-grilled Japanese Ayu confit dressed in yoghurt sauce ($32).